In a joint meeting of the academic staff of several faculties today, professors demanded the government to meet all student demands, otherwise they would call for a general strike of all universities in the country. 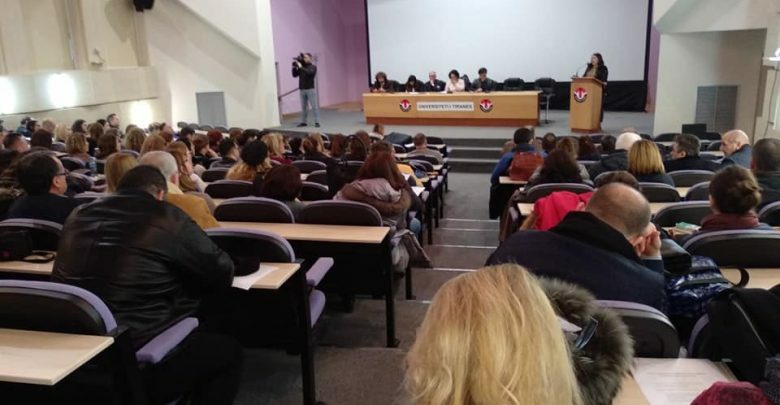 Professors of six faculties of the University of Tirana published a statement listing their five demands, including an increase to 5 per cent of the GDP for the education budget, and the repeal of the law on higher education. The statement urged the government to meet student demands within January, otherwise university professors would call a general strike of academic staff at a national level. The statement also demanded the repeal of several controversial decisions of Prime Minister Rama which allegedly violate the autonomy of universities. Students started their protests seven weeks ago, while since twelve days their protest escalated to occupation of several faculties. Yesterday students protested in front of the Parliament and Prime Minister’s office.